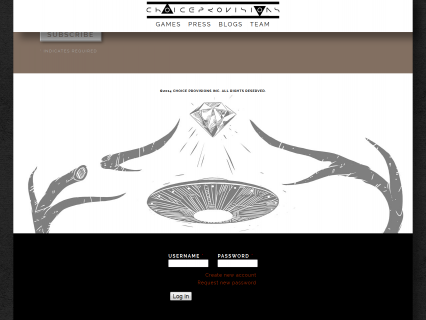 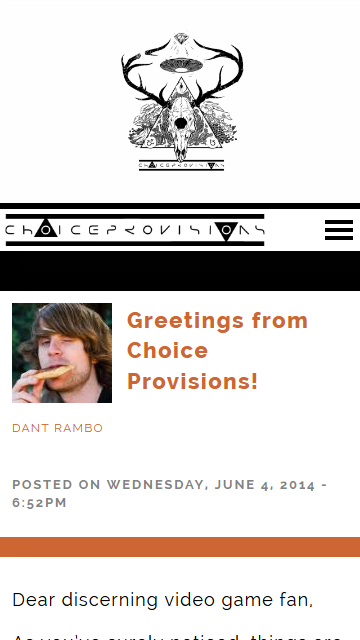 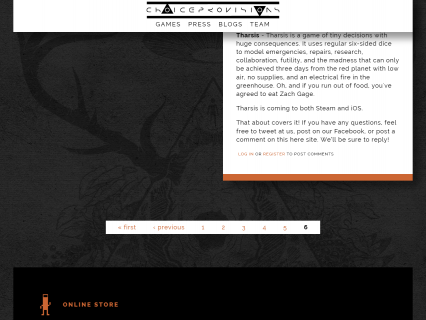 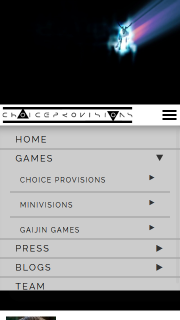 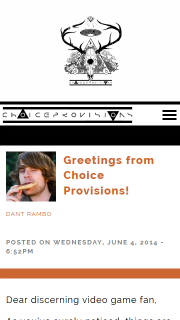 Not just your average responsive retrofit, I also helped move them from Gaijin Games to Choice Provisions on the web. 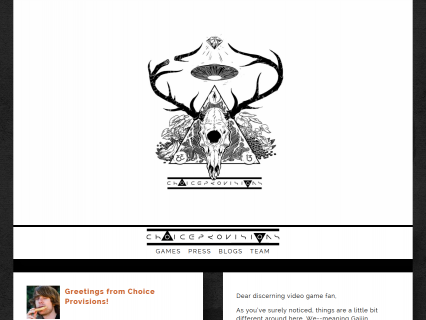 That meant swapping out branding, touching things up here and there, and moving the site to totallychoice.com. Don’t miss the slick new nav bar and mobile menu using the existing menu structure. 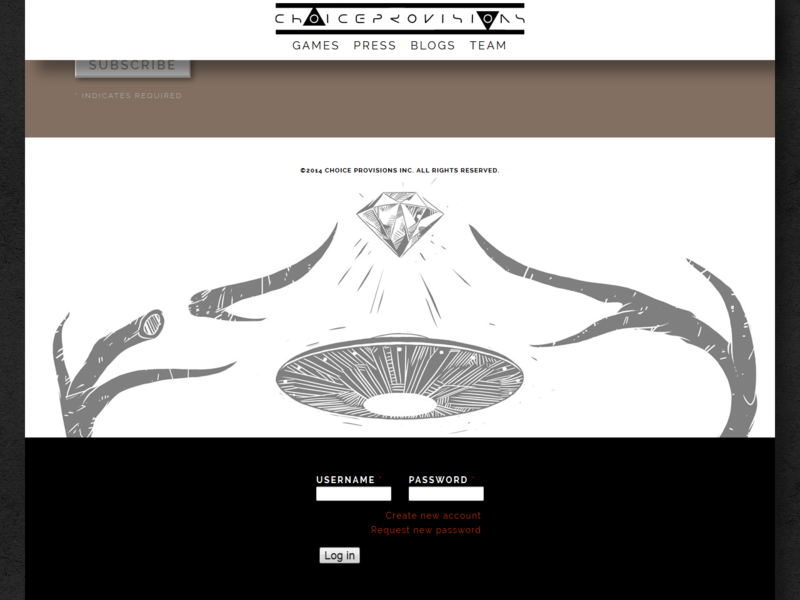 If you dig the new logo, head over to the website of Ty Dunitz. 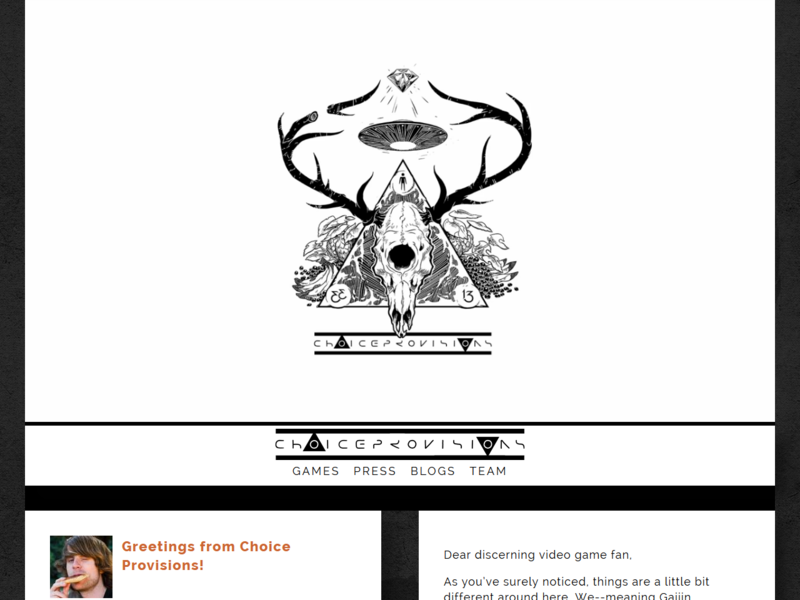 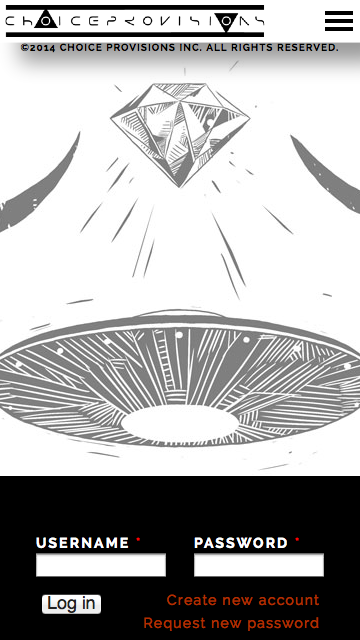 I had fun replacing some old background parallax stuff that didn’t work in Firefox (?!) 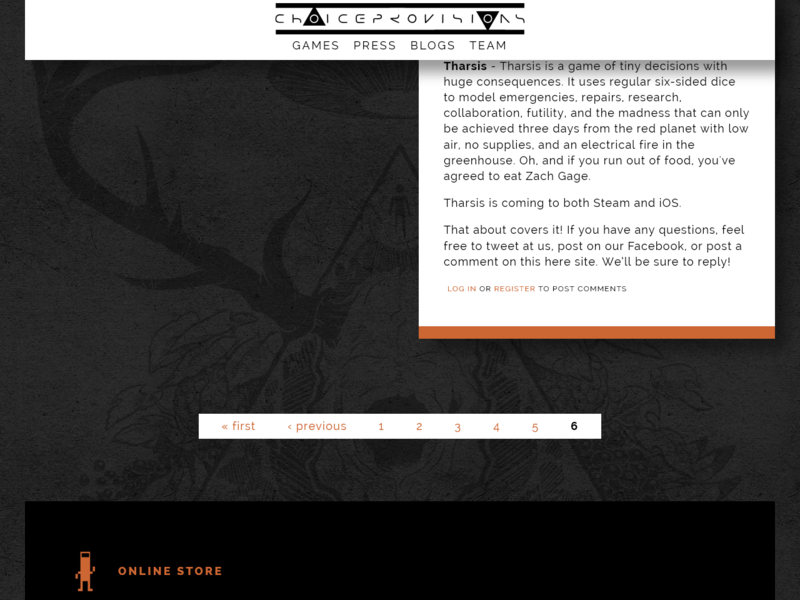 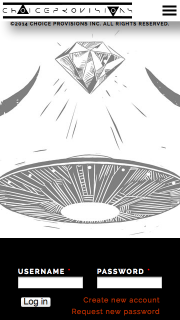 with the new logo; very ominous.